High-end Height Gages to fit all of your height measuring needs. Many gages in this category feature high accuracy, air bearing base, and 2D measurement. Use a premium height gage to free up the work load on your CMM! 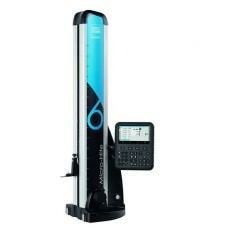 The 00730049 Brown & Sharpe TESA-µHITE Height Gage 6.3"/160mm is on sale at Gaging.com. Measure smar..
*product shown may vary The 00730073 Tesa Brown & Sharpe MICRO-HITE 350 Height Gage 14"/350mm. Ga.. The 00730074 Tesa Brown & Sharpe MICRO-HITE 600 Height Gage 14"/600mm. 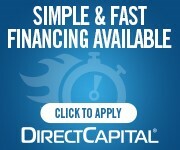 Gaging.com is a direct, autho..
*product shown may vary The 00730075 Tesa Brown & Sharpe MICRO-HITE 900 Height Gage 36"/900mm. Ga..
*product shown may vary The 00730076 Tesa Brown & Sharpe MICRO-HITE 350 Height Gage 14"/350mm - w.. 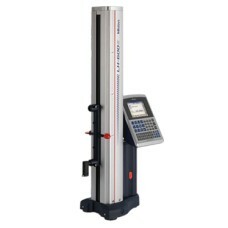 The 00730077 Tesa Brown & Sharpe MICRO-HITE 600 Height Gage 24"/600mm - with Fine Adjustment. Gaging..
*product shown may vary The 00730078 Tesa Brown & Sharpe MICRO-HITE 900 Height Gage 36"/900mm - w..
*product shown may vary The 00730079 Tesa Brown & Sharpe MICRO-HITE+M 350 Height Gage 14"/350mm. .. The 00730080 Tesa Brown & Sharpe MICRO-HITE+M 600 Height Gage 24"/600mm. Gaging.com is a direct, aut..
*product shown may vary The 00730081 Tesa Brown & Sharpe MICRO-HITE+M 900 Height Gage 36"/900mm. .. The 00730503 Brown & Sharpe TESA-µHITE Height Gage 14.2"/160mm is on sale at Gaging.com. Measure sma.. 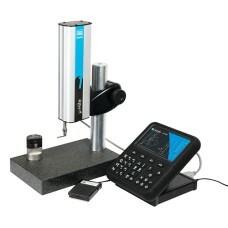 The 518-351A-21 Mitutoyo Linear Height LH-600E Height Gage is on sale at Gaging.com! SALE PRICE I.. The 518-352A-21 Mitutoyo Linear Height LH-600EG Height Gage with Power Grip is on sale at Gaging.c..